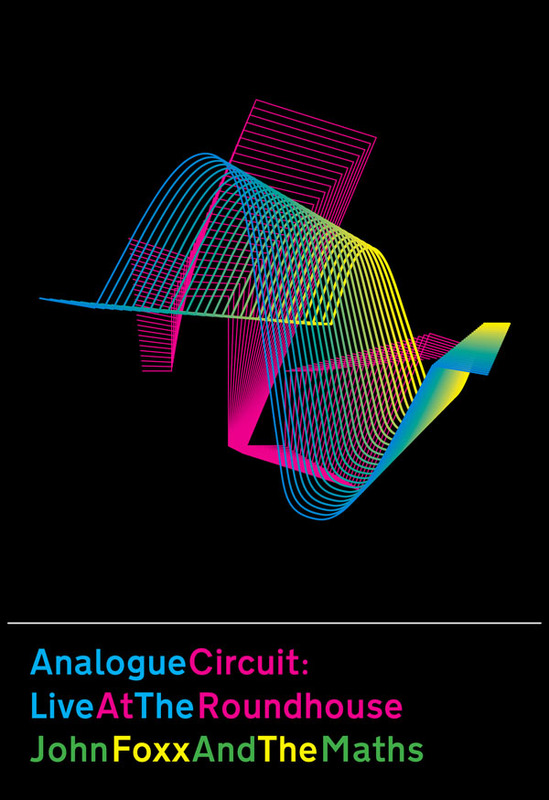 Analogue Circuit: Live At The Roundhouse is limited to 2000 copies only. The 3 disc set features the first ever live John Foxx DVD, plus a double album of the show, all in striking new artwork by designer Jonathan Barnbrook. Analogue Circuitbrings to life one of the most lavish and ambitious projects of the artist’s 30 year career – filmed in June 2010 with multiple cameras at one of London’s biggest and most distinctive venues. Rich, powerful analogue synths; Robin Simon on guitar playing early Ultravox material; surreal VJ cut-ups and Barnbrook graphics; a film by I Robot director Alex Proyas, a brilliant opening Metamatic section; songs from the recent classic, Interplay; all of this in a unique, one-off show. Extras include a photo gallery, Jonathan Barnbrook’s films for ‘Interplay‘ and an interview with Future Music just before the band went on stage. This fantastic box set is a John Foxx And The Maths online store exclusive.